Hairstyles enhance your look and elevate your ensemble to the next level, adding charm and spark to your personality. Any outfit looks incomplete if the hair is not done to perfection, and leaves a unflattering impression, letting down the grand outfit as well. For the upcoming Fall/Winter 2018 season, we take inspiration from fashion runways and try to inject the hairdos and hair accessories seen on the ramp into our own style. 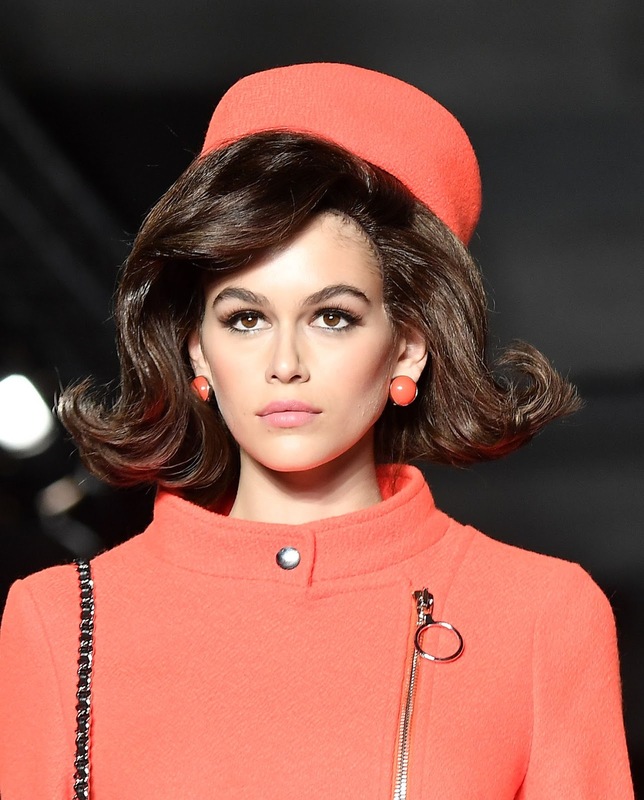 Copy them or add your own twist to them, here are some of the most flattering, chic and stylish looks seen on the fall/winter 2018 runways, that will also set the hair trends for the season. The ever popular look remains the slicked center-parted, that is sleek and smart, and adds a cool-girl vibe to your personality. Regularly seen on the red-carpet, models and celebrities rely on the slicked center-parted do, and add edge, drama and glamour to their ensembles. Slick center-parted styles can be made into a low ponytail or a bun, and can be rocked with ease. Perfect for those who are on the go and do not really have enough time to crop up a glamorous hair style, the claw clip comes to your rescue. Giving instant boss-girl vibes, this hair accessory is trendy and cool, and instantly lifts up your look, making you look as if you mean business. 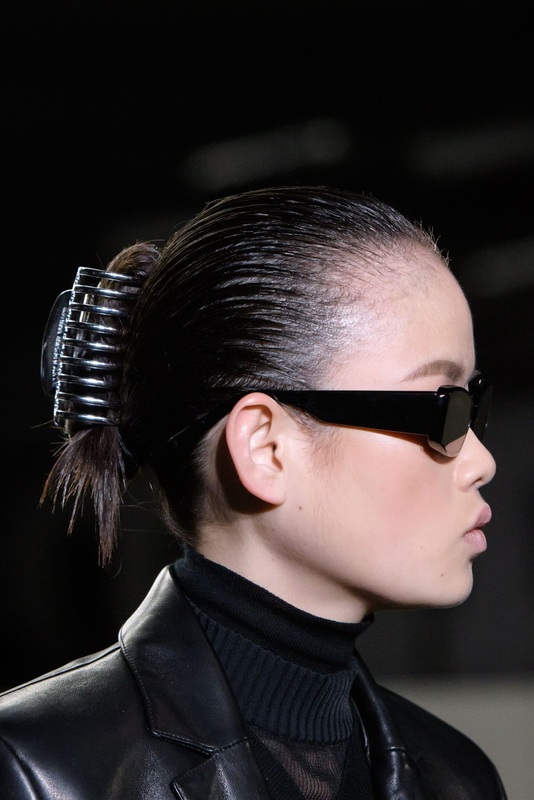 The claw-clip also is a practical option, and secures your hair for the day, without the need for touch-ups. If your are naturally blessed with wavy hair then thank the Hair Gods. Wavy hair has been into fashion since ages and is here to stay. Low maintenance, charming and trendy, this wavy look can be worked for both formal and casual gatherings, and do not need a lot of hassle. If you do not have naturally wavy hair, you can always gather your hair into a messy bun the night before, and let them down the next morning for instant waves. 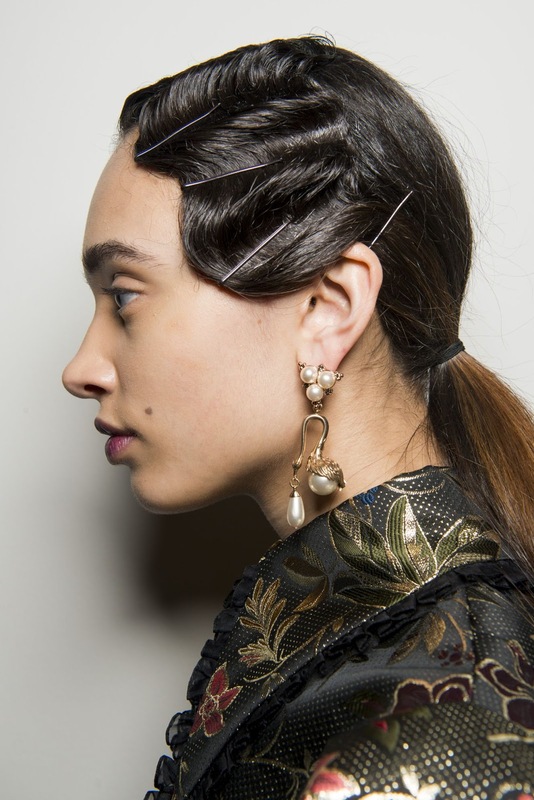 The trendiest hair accessory seen on the runways this season is one that we all perhaps have it lying around in our vanity cases. Never really seen as a fashionable accessory, the bobby pins have made a stylish comeback, and models were seen wearing them into their hairdos as a style statement. We even saw Kristen Stewart rocking a bobby pin hairdo at the amFAR Gala at Cannes. 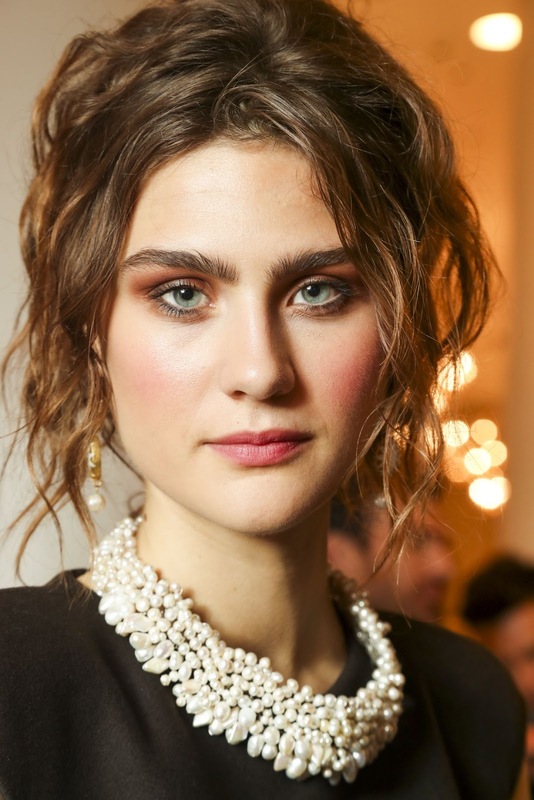 The simplest trend for the season is one that has never really gone out of style is the messy-chic updo. Feminine and easy, this style does not require a lot of effort and can simply be made by piling the hair up into a bun, with loose strands framing the face. The messy-chic updo is another celebrity favourite, as it gives a youthful feel, and looks pretty as well. If you are a punk at heart, it is time to wear your personality on your sleeve and be bold and eye-catching for the fall/winter season. 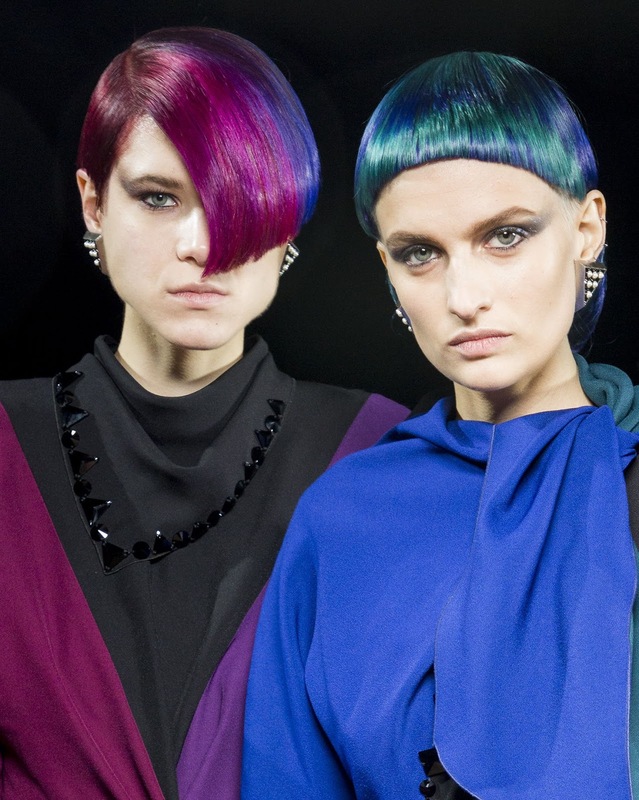 Razor sharp cuts that make a statement and bold vivacious colours that instantly catch the eye are the 'in' thing for the season. Be punk, be loud and instantly catch attention with a fierce style. Jacqueline Kennedy Onassis is perhaps best known for her sensational style, and along with her outfits, her hairdo never has gone out of style. Popular in the 60s, the First Lady's mid-length blowout has become a trend for the seasons to come, and looks sophisticated, polished and poised. The style is great for naturally wavy hair, and can be enhanced with volume-boosting hair products. 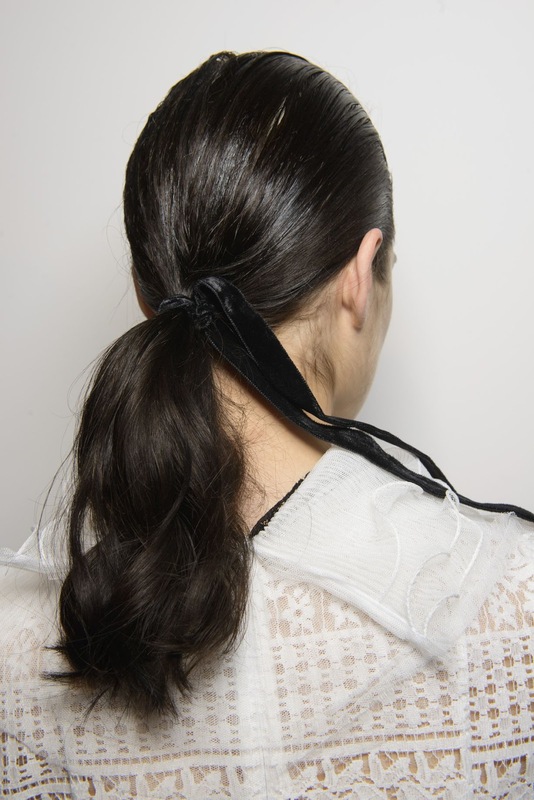 The ponytail is perhaps the most no-fuss style out there, and we have to thank our lucky stars that it is still in fashion. Whether you are running late or simply not in the mood for a grand hairdo, the ponytail comes to the rescue. You can opt for a trendy high ponytail look or a simple low style, and be ready to dash out in no time. TV Series Gossip Girl's iconic character Blair Waldorf brought the bejewelled and dazzling headbands into style, and for the fall/winter 2018 season they have made a much awaited comeback. The dazzling piece of accessory adds a fashion statement to your style, and uplifts your whole look from drag to fab. 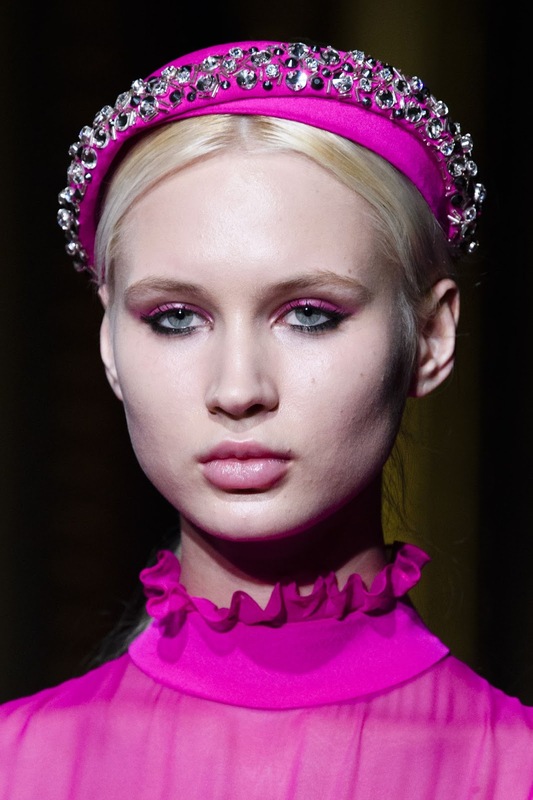 Encrusted with diamantes or stones, the hairband is here to stay for the cool weather.